Top » Home Dehumidifiers » How To Find the Best Buy Dehumidifier? Are you in the process of hunting for the best buy dehumidifier? It is recommended to do thorough research on the available dehumidifiers before you go off and make a purchase of the very first dehumidifier you find at a cheap price. Just like any other product it is important to remember that there are many different brand names all wanting to sell their product to you. The quality of these dehumidifiers differs from brand to brand. Some will break easily and you will have to repair them. Others might last you a life time but not take out enough water. Take the time to make sure you are buying an item that fits into your budget and offers you what you are looking for with the quality you expect. This article will let you know some guidelines which can assist you to find the best buy dehumidifier. First of all, you need to consider your requirements before purchasing a dehumidifier. You are purchasing one for a reason and the dehumidifier you select should have the ability to cater to your needs and requirements. 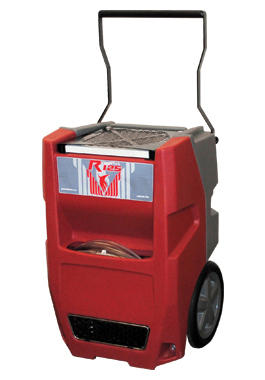 Dehumidifiers are available in different sizes. If you are looking to dehumidify only a single room, you can go for a mini dehumidifier because it can save you a large amount of money. The mini dehumidifiers are easy to handle moving up and down stairs which is also a plus. However, if the door to the one room you want to dehumidify is left open any part of the day then you will need to have a larger dehumidifier because you will be dehumidifying more air. These units need to be sized properly to the amount of air that needs to be dried. So make sure you are honest with yourself and add in all the air space that needs to be dried. When you decide the type of dehumidifier you want, you can go for the next step of shopping. The development of Internet and technology has created an ideal platform for the people to shop for dehumidifiers. Reading the customer reviews and testimonials will assist you to find the best buy dehumidifier available on the market. You will also want to look at things like an automatic pump out so that you don’t have to empty a bucket. A dehumidistat is another nice feature to help save on electricity cost. It will automatically cut the unit on/off when it reaches a particular preset humidity level. This article was published on Wednesday 06 March, 2013.